On Sunday the 15th of July, before a packed audience at ISTAC, Tariq Ramadan spoke on the much talked about issue of post-Islamism. The talk, organized by the Islamic Renaissance Front, began with opening remarks from Dr. Ahmad Farouk Musa, chair and director of the Islamic Renaissance Front and Professor Kamal Hassan, distinguished professor of ISTAC. Both, spoke of the important need to discuss this issue in light of recent developments in Islamic political thought. For decades now, the most vocal demand emerging out of political Islam throughout the world was for the establishment of an Islamic state. The Iranian Revolution of 1979 was particularly instrumental in this as it inspired and emboldened Muslims to believe that such a project was not only conceivable but now doable and practical. Thus began the widespread Muslim preoccupation with moral and social policing that we can still witness today: women, in a scale much larger than before, was soon pressured to conform to conservative male expectations of the feminine. The imposition of strict laws took centre stage in defining what it means for a society to be just, and obedience to those laws was defined as the main way to be a good Muslim. Hudud became the be-all end-all yardstick to indicate the degree to which those laws are effective. This agenda was pushed for decades by Islamist political parties and organizations. Those who did not subscribe to it, or expressed the slightest amount of doubt were accused of being confused or deviant. As a result mass conformity among Muslims to obey those laws, like robots, began to grow. Rather than reflecting and thinking, judging and punishing became a prevalent mood of Islamic discourse. This in large part was made possible by the presupposition that religious Ulamas, Ulamas of Muslim texts would also make good heads of states. It did not matter that these Ulamas are often oblivious to worldly matters, had little knowledge or anything meaningful to say about economic justice or science. It was enough for their proclamations to be decorated with one or two Quranic passages for them to be regarded as leaders able to lead the challenge of flourishing in a complex world. This explains why there is still talk of not only the establishment of an Islamic state, but even a theocracy and a caliphate. Such was the agenda that overwhelmed the Muslim mind for the past 20 years. But then something different happened. Masses of Muslims, without waiting for the guidance of Ulamas took to the streets to topple unjust rulers in Tunisia and Egypt. They bravely fought the threats of a sophisticated police and military force for weeks to show the strength of a people united for the cause of justice, democracy and freedom, rather than Hudud and moral policing. The Arab Spring, or rather, the Arab Awakening, captured the hearts and minds of political observers across the world. It demonstrated against, and in fact defied, longstanding Orientalist assumptions – once supported by Muslims themselves – that Islam and Democracy are incompatible. The struggle continues in Yemen and Bahrain. The Arab Spring then has provided reasons to think that Muslims might have left the fantasies of an Islamic state, but is this true? 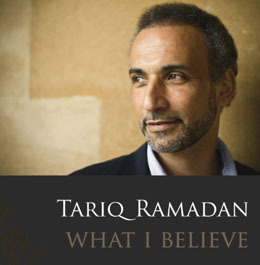 Tariq Ramadan is cautiously optimistic. In the case of Egypt, it is clear that foreign elements were actively training the opposition way before January 2011. Indeed, all signs suggest that Western imperialist powers have been playing both sides of the divide for quite some time. Despite elections behind held, it is clear that the military regime, which consists of the same figures under Mubarak are still in power. Libya proved to be the case in point to show how popular sentiments can easily be exploited to make way for imperialist intervention. The same seems to be unravelling in Syria. In the Middle East, Western powers have had a consistent history of playing both sides of the divide to their advantage. One evidence of this is the degree to which Israel has featured rather centrally in the discourse following the restructuring of the governments in Egypt and Tunisia, whereby candidates were often pressured to state on whether or not they would honour existing Arab-Israeli treaties. Reading between the lines of political events, we see how much external geopolitical forces were keenly following the developments to ensure that their interests are protected. Tariq Ramadan also believes that there are plenty of reasons to think that the term “post” in post-Islamism is a misleading one. The prevalent assumption – largely among Western social scientists – that the Arab Spring has heralded a new era after Islamism would be premature, given that references to Islam among various political movements in the Middle East remains persistent. In this regard, even the En Nahdah in Tunisia, and AKP in Turkey cannot be said to be post-Islamist since they still see their project to be a very much Islamic one. Tariq Ramadan stresses that it would be a mistake to overlook or downplay the impact that Islam has as a source of political inspiration and mobilization in Muslim majority countries. The question therein is not if Islam is present in politics. Rather it is how Islam is interpreted and positioned to match challenging times. To say that Islam still remains an agenda in the major currents of Islamic politics is not to argue that nothing has changed. Tariq Ramadan does maintain that there is at least a paradigm shift at the level of intellectual discourse and political aspirations, whereby the prevalent mood of political helplessness that had gripped the Arab world was finally broken. The idea that the people can now have a say in who they want to govern them is already a breakthrough. The question remains on whether or not this is a lasting impact, or a temporary one.